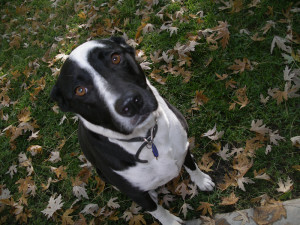 Mattie is a beautiful, well-behaved 14-year old black and white Lab mix with golden eyes and a monk’s approach to life. At six-months old, house-broken and trained to Sit, Stay and Come, her owners inexplicably deposited her at the local pound. There, Mattie was to be put down immediately as she had a respiratory infection (kennel cough) but was saved on her way to the gallows, by a kind-hearted woman named Arezou who paid for her release, nursed her to health and brought her home to a very tiny apartment. A week later, JC was visiting friends and inquired about the new dog next door. 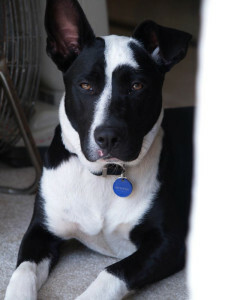 When he heard Mattie’s story and found out that she was looking for a new and bigger home, he agreed to a trial visit. The trial was settled at the first pawshake and the two pals thanked Mattie’s angel for the quick save and headed off for home. Though well-trained and thankful to be in her new digs with a big yard, Mattie still had lessons to learn. At nine months she got her leg caught in a gate and broke it – the leg that is. And at 3 years she narrowly escaped the reaper again when she ventured out an open gate and was HBC (hit by car). The driver of the car did not stop but an unidentified young woman in the car behind her did. Mattie’s second angel called 911 and Animal Control and left a somewhat frantic message on JC’s voicemail. Mattie recovered well with no apparent lasting injuries but ever since she howls at passing ambulances and firetrucks. 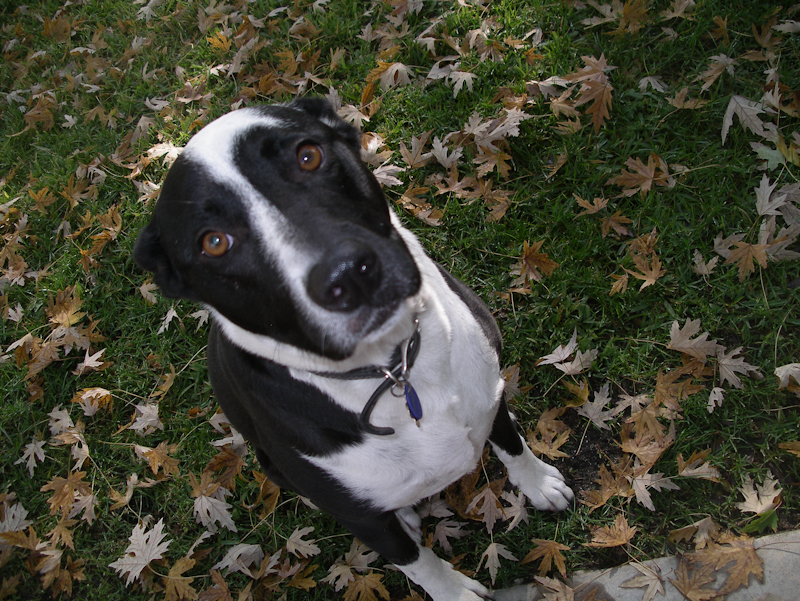 Mattie is a passionate squirrel, raccoon and skunk chaser but is indifferent to other rodents and small dogs. She loves peanut butter, cucumbers, carrots, almonds and, basically, anything with a nice loud crunch to it – except bones, which she can no longer have because she broke a tooth on the last one. She currently serves as the Chief Security Officer at our home in Altadena, CA and is a borderline workaholic, patrolling the perimeter late into the night. Mattie really enjoys trips away and meeting new people and if there were some way to explain the Good Foot Project to her, we’re sure she’d be excited. To some, she’s known as Mattie the Goat or La Petite Vache but, to us, she’s simply the Best Dog in the World.